A solar boosted system is effectively a split system solar setup with a gas or electric booster. These types of water heater rely mainly on collector panels (not to be confused with electricity producing photovoltaic cells), or an evacuated tube array to heat water directly under the sun. The water is then either collected in a tank above the panels (using a thermosiphon system) or one on ground level (using a split system). In low temperature conditions and colder climates, the sun may not be strong enough to maintain a consistently high water temperature on its own. In these situations the gas or electric booster will provide additional heat to your water. Current legislation demands that all solar hot water systems in Australia must incorporate an alternative heat source - this is to ensure that the temperature of the water regularly exceeds 60°C (in order to kill bacteria). The booster in such systems is a small burner or heating element that only kicks in when the water reaches a sufficiently low temperature. This means you are only using fuel to heat the water part of the way, thus still maintaining high energy efficiency and low running costs. Solar hot water systems are usually either thermosiphon units or split system units. Thermosiphon water heaters consist of roof mounted flat plate collector panels (not to be confused with electricity-producing photovoltaic cells), or evacuated tubes full of copper tubing into which cold water is pumped. As the collectors or tubes absorb heat from the sun, water rises through the tubes and is collected in a tank above the panels. If the water cools down again, it flows back into the pipes to be re-heated. Hot water is typically gravity-fed to the house, though this can be aided by a small pump if necessary. Split system units work on the same principle, except that the storage tank is located at ground level. Cold water is supplied to the panels and hot water flows to the storage tank by means of a low wattage pump. As the tank is less exposed to the elements, there is less heat loss from a split system than a roof mounted system, but this is offset by the small amount of electricity used to run the pump. There are two different technologies for solar hot water collectors; the traditional panel collector style, and the evacuated tube solar collector. From a distance the panels look similar to photovoltaic solar cells, but in reality are actually just glass-covered boxes containing copper tubes, which are exposed to the sun. The more sun the panels are exposed to, the greater the efficiency. Solar hot water collectors come in two varieties: flat panels and evacuated tubes. Evacuated tubes are expensive, but easily outdo panel collectors in some conditions. They consist of a copper pipe running through the middle of a glass tube which is sealed to create a vacuum. This design prevents heat loss through convection and radiation, so the only heat loss possible is from the tank. Evacuated tubes suit colder regions where the sun is less effective. Where are solar boosted hot water systems most commonly found? Solar boosted systems are common throughout Australia where less sun is available during winter. In these climates, a booster is necessary to ensure that hot water is always available, regardless of the weather. Is a solar hybrid system for me? 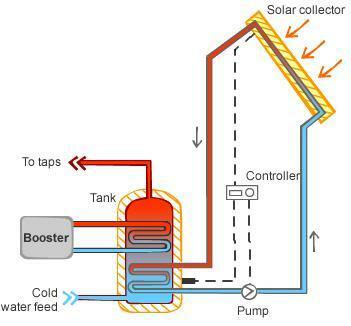 A booster solar hot water system is an economical and efficient solution for most households. Gas boosted models will be more energy efficient than electricity boosted models, and will also save money in long term running costs. They are more expensive, but the fuel savings will help repay the initial investment fairly quickly. You will also be eligible for rebates if you install a solar boosted hot water system. Check our rebates page for further details on federal and state rebates. First, think about space. Consider whether the intended location of the array (typically the roof of the house) is able to support the weight of the panels and possibly the tank. If it is not, you may need to pay to have it reinforced. You also need to ensure that the space you choose will use the sunlight to its fullest potential. A north facing roof surface is best for this, but it will depend on where your location gets the most exposure. Panels are usually roof mounted but can also be wall mounted. In either case, make sure they are easily accessible for cleaning and repairs. If you are considering a solar hot water system, get a few quotes from different retailers as prices can vary greatly. 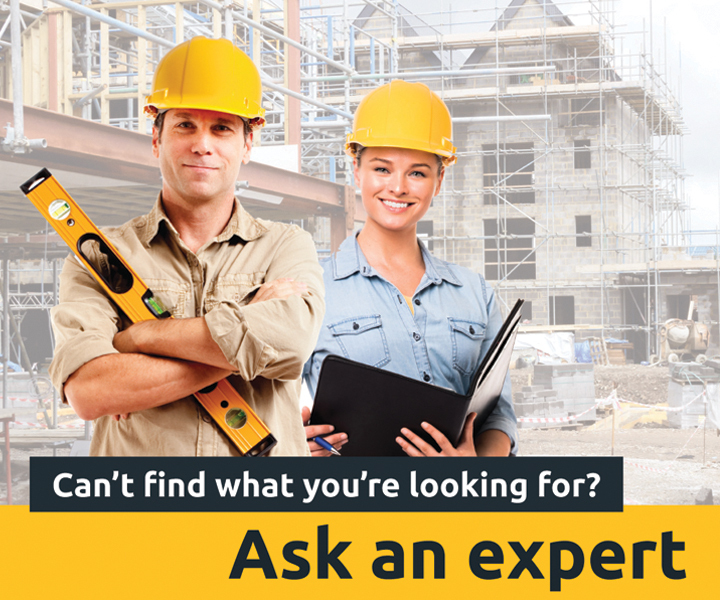 Always check if the quotes include installation costs as well as any subsidies and rebates you may be eligible for. In the case of gas boosted hybrid systems, you will also need access to gas piping. I highly recommend solar hot water. We are located in Newcastle NSW and have an electric boosted system. I turn the booster off because it is not required for the months of Oct, Nov, Dec, Jan, & Feb. Some boosting required in April & September.